The Toronto-York Spadina Subway Extension (TYSSE) project was established to provide the first rapid transit line to cross the City of Toronto boundary into the Regional Municipality of York. As a large-scale project that is spread over a wide area, stakeholders were finding it difficult to manage a growing number of geo-engineering documents, introducing delays into the project. 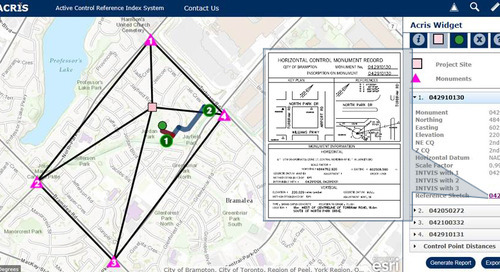 Find out how they built a Geo-Engineering Content Management System to let project designers and construction crews upload and access documents from a single portal. Have a comment or question? 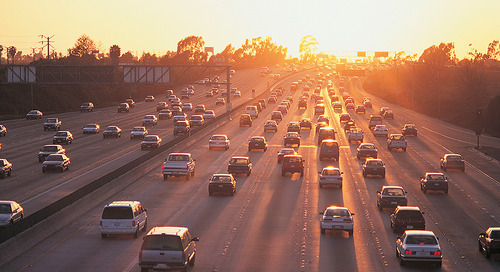 The information needed to make road investment decisions comes from many different departments across a typical road authority. 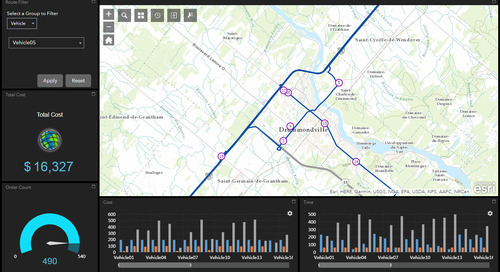 In this presentation, Esri Canada unveils its latest steps in facilitating efficient collaboration across Canada’s mapping community. 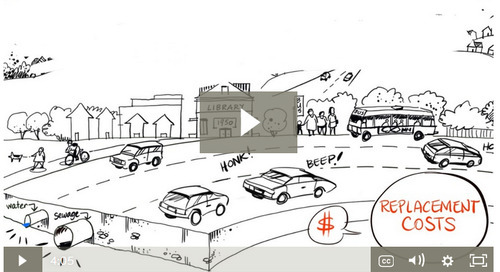 How Do You Identify Strategic Road Investments? 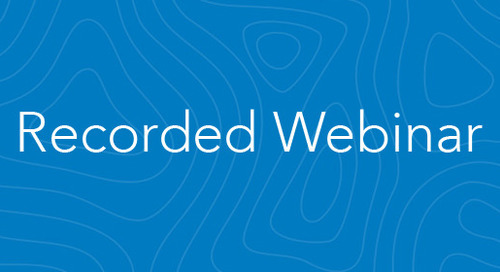 This webinar will highlight how ArcGIS can accelerate your asset management success. 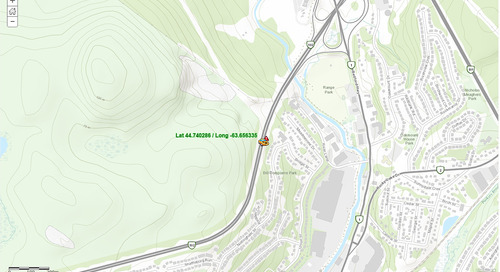 We pull back the curtain and walk through how to create a linear referenced road network using Esri Roads & Highways. 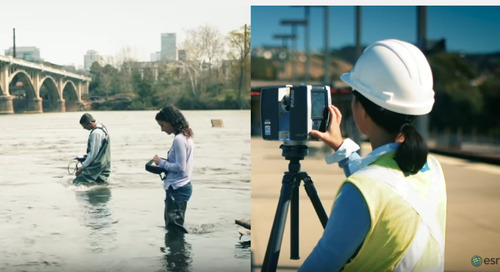 Learn how you can boost your next field collection by leveraging and combining ArcGIS apps. There is a plethora of available smartphone apps that provide routing suggestions. Professional dispatchers however have demands that consumer apps simply can’t meet. 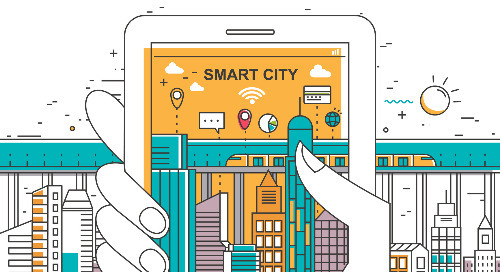 Gerard Peets of Infrastructure Canada answers some of the most frequently asked questions from municipalities about the Smart Cities Challenge. As Canadian transportation & warehousing industry continues growing, logistics professionals modernize their workflows making dispatcher’s job easier. An Enterprise Asset Management system is made up of three core components: a system of record, a system of engagement and a system of insight. 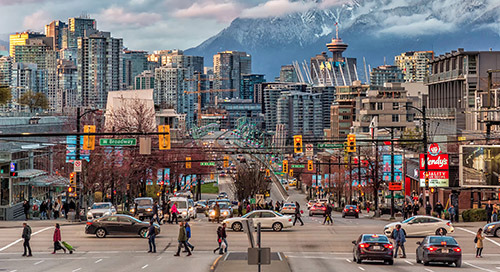 Planning public transit routes is a highly involved process that requires balancing the needs of a vast amount of competing criteria using a budget that never seems to be enough. 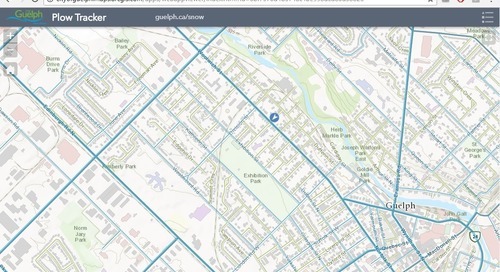 City of Brampton’s award-winning GeoHub uses Esri’s ArcGIS Open Data to create portal to ease public access to city information. Find out how your municipality can make the most of two Government of Canada grant programs to support climate innovation and asset management. Many industries are taking advantage of EAM. 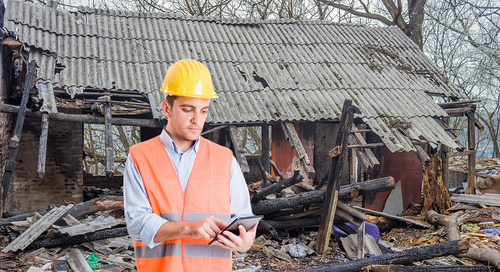 Learn how it can help you manage assets to make better & more informed decisions. When considering an Open Data site, the vision must be bigger than just checking off the “we have an Open Data site” box. Impact on your community is the true goal. 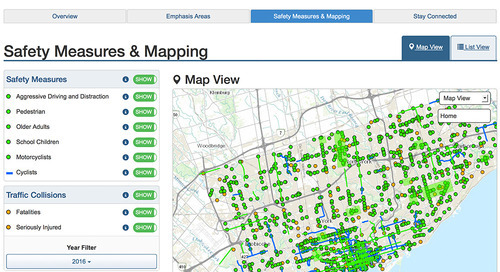 Discover how the City of Toronto addresses road traffic fatalities head on with its Vision Zero Road Safety Plan. 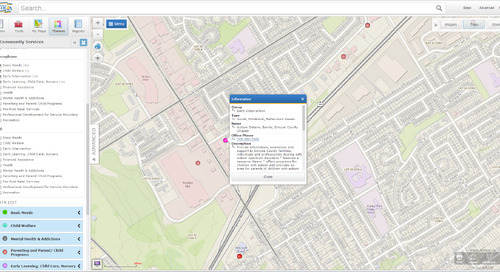 The County of Simcoe revamped their existing web mapping application with a new look and increased functionality. 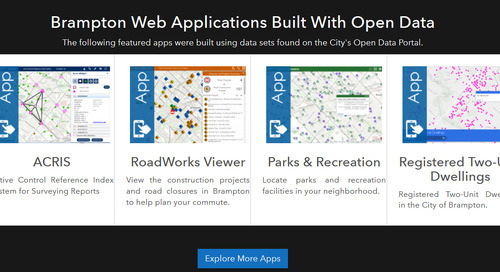 Explore December’s App of the Month – Simcoe County Maps. Linear referencing (LRS) is a highly effective way to manage non-discrete transportation assets such as roads, guardrails and sidewalks as well as events and attributes. 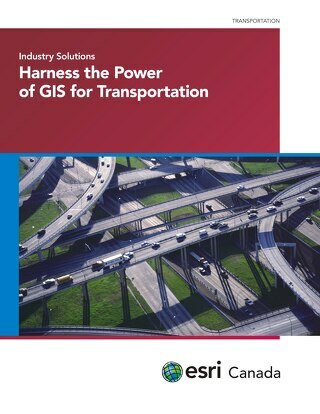 Esri's GIS solutions help to better understand geographic relationships that affect infrastructure, demand, safety, environmental impacts and other transportation concerns.